The sudden passing of Negură Bunget co-founder and drummer, Gabriel ‘Negru’ Mafa at the age of 42 is a huge and hard-to-countenance loss for anyone who knew him personally, and it also marks the far too premature end of an artistic vision that was still finding vast and fertile new territory to explore. 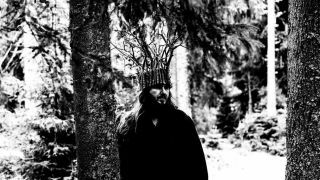 Formed in 1995 with guitarist and vocalist Edmond ‘Hupogrammos’ Karban, Negură Bunget’s primitive black metal roots offered few hints of the rich, sensory experience that would soon follow. With each release digging deeper into the band’s Transylvanian heritage and folklore, and forming an ever more complex yet increasingly immersive thematic whole, Negura’s breatkthrough came with 2006’s landmark album, Om. Steeped in mysticism, its combination of rich, sweeping atmospheres, tremulously expansive riffing as though resonating on a tantric frequency, traditional instrumentation – not least their signature hammered wooden blocks - and searing blasts of enlightened black metal transgression brought the ancient and the exploratory into an exhilarating storm system that forever changed the possibilities of what could be done with the genre. A fallout between Negru and Hupogrammos in 2009 led to the band splitting into two entities, with Negru carrying on the Negură Bunget name and developing further his own understanding of Transylvania’s history and mysticism, drawing out something universal from his local lore. Bringing in more cinematic and natural elements, Negru’s next phase of Negură Bunget began with 2010’s epic Vîrstele Pămîntului, a transitional album in more ways than one. A gentle soul with a generous spirit, Negru both took the band’s various upheavals in his stride, his calm nature embodying the underlying sense of continuity his music aimed to express. For him, Negură Bunget was a serious life’s work. His own personal studies into Transylvanian history were extensive, willing to uncover arcane yet revealing aspects of his culture, determined to reveal their resonance in the here and now and engagingly articulate within his shy demeanour. When albums were about to be released, Negru would gather international journalists in his home country to take them on tours through the Romanian capital Bucharest, historical castles and his Timișoara home town as well the national parks nearby, explaining how nature, culture and folklore were inextricably woven and bringing the huge canvas on which his band was cast into tangible and spectacular relief. At the time of Negru’s death, Negură Bunget were two-thirds of the way through an album trilogy that would form, in his own words, “a personal vision of what Transylvania means”. With 2015’s Tau exploring his region’s natural elements, and the following year’s Zi delving into local customs, the completion of the cycle was to delve into Transylvania’s spiritual nature. Whether or not the trilogy will be completed in Negru’s absence, his was a spirit that will continue to resonate across the wider metal landscape, and in the hearts of those who knew him. He may have passed on into that next world, but it took a man of deep perception and humble, visionary sensitivity to allow all of us a glimpse.